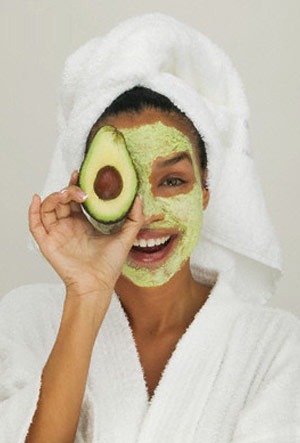 Everyone knows I LOOOOVE avocados. I love to eat them, smell them, feel them, bathe in them. There is nothing better in my book unless it’s chocolate and peanut butter. Now I’m doing my happy dance since I discovered a wonderful blog called Mrs. Happy Homemaker.com (you probably should leave out the spaces) if you want to check it out. 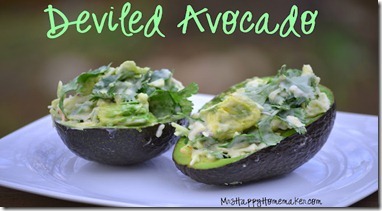 I found a recipe for deviled avocadoes which will be on my table by lunch time. If they turn out as good as they look, I’ll be making her Dr. Pepper Pulled Pork Sandwiches come Sunday. This woman knows her food. 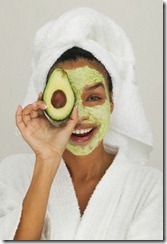 Hollow out your avocados, leaving a slight rim around the edge of the shell. Dice the avocado up in small bits. 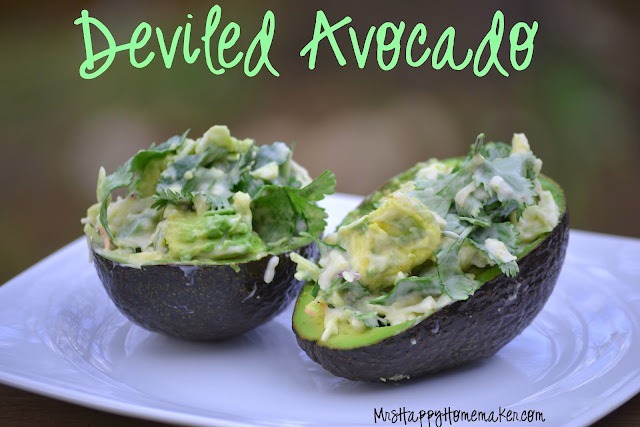 Combine the diced tomato & avocado with the cilantro-jalapeno slaw. Spoon into the hollowed avocado shells, and squeeze the juice of half a lime on each one, or less if you have really big limes. Sprinkle with salt & pepper to taste.